There is a myth perpetuated by people who are not engaging with emerging social media technologies. This myth is that people born since the advent of the Internet have grown up with new media technologies and therefore these people are digital natives who do not need a digital education. But this myth does not stand up to the slightest scrutiny. I would probably not get this into an academic journal, but here are some statistics collected during my second attempt at using social media such as blogs, wikis and other information sharing tools for completing major assessment items. Question: Have you ever blogged before? 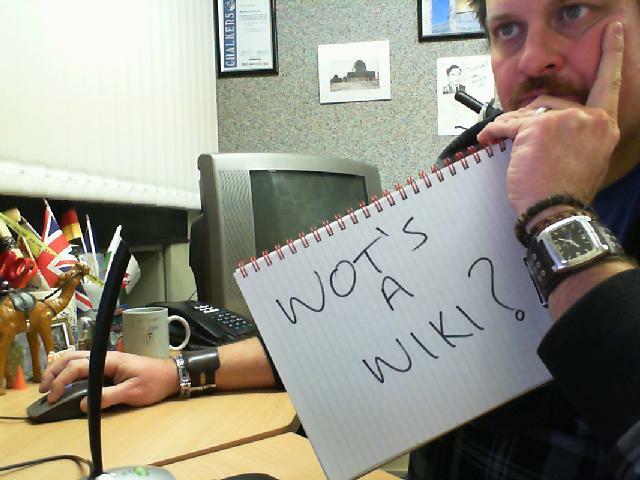 Question: Have you ever wiki'd before? Not research to stake a career upon, but hardly an overwhelming victory for the digital native myth! But it also suggests why technologies which boost productivity and efficiency in so many ways are not making it into the mainstream fast enough. While it is true enough that the so-called "digital natives" can learn the new technologies very quickly, there needs to be someone teaching how contemporary technologies can be harnessed in business, government and community applications. In my experience, these teachers fit into the "digital immigrant" category. Anyway: Digital Natives? MYTH BUSTED! Now we can get on with providing a digital education and stop pretending that it isn't necessary.